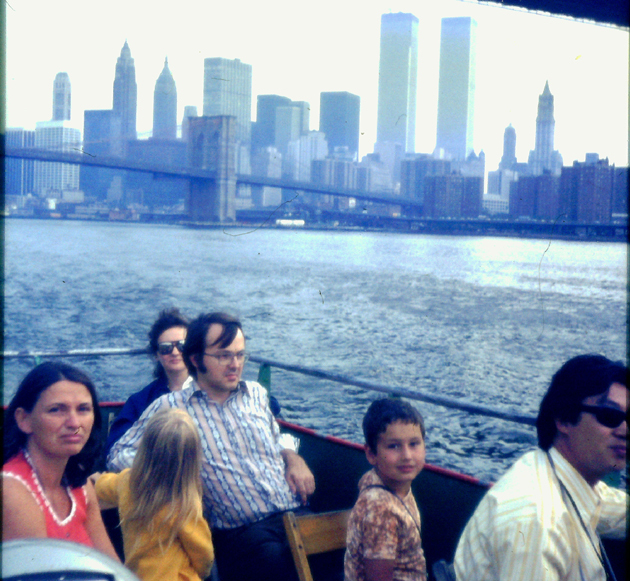 Taking the Hudson River trip with my parents and The Muellers. WTC still under construction. You can see construction cranes on the top if you look really hard.